As we all age, out priorities change. In our 20’s, we are all focused on our careers and establishing our financial independence. When we reach our 30’s, we begin to see improvements in our work life and that allows us to shift our eyes towards our personal relationships and we begin to consider settling down. In our 40’s we may or may not have children but nevertheless, our priorities still change as we struggle with mortgages and other credits that we have accumulated in the past. But when we reach our pre-retirement age of 50, things start to slow down a bit and we are now faced with the prospect of our retirement. Most financial experts encourage young individuals to start thinking about their retirement while they are still young. In most cases, 20’s is the perfect time to start building a fund for retirement. Given the latest economic crash, it seems that preparing for retirement when you are in your 50’s may be too late – especially when you have a lot of debts to consider. While you will not be able to build up the same amount of funds if you started out young, it is not too late for you to have a comfortable retirement. But the thing is, you have to act now. To not delay anymore and consider your options to have the most comfortable and convenient twilight years. Before you can think about how much you need to raise before you retire, you have to look at your financial condition first. Do you have debts? If so, what is the total amount and how long do you expect to pay it off? The only way to maximize your limited time and resources during your pre-retirement years is to get rid of the debts. To help with that, you may want to enroll in a debt relief program that will allow you to make the best progress in paying down what you owe. You have debt consolidation options that will help you complete payments in 5 years – at least for your unsecured loans. These programs will provide you with a restructured plan that will give you a lower monthly requirement and possibly a lower interest rate. You also have the option to go for debt settlement that involves negotiating with your creditors. You will convince them that you are in a financial crisis. The goal is to propose a settlement amount that is lower than what you currently owe. If you pay this to them, that will pay only a percentage of your debt and the rest will be forgiven. Get rid of most debts that you owe – especially the high interest ones. Pay down your credit card debts so you can maximize your money and save up for retirement. If you are still paying for student loans, you may want to see if you qualify for the loan forgiveness program of the federal government. 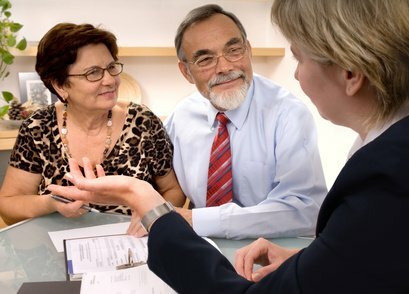 For mortgages, see if a reverse mortgage is applicable to you. When you have dealt with your debts, there are other considerations that you need to take care of. All of this will be to determine how much you will need to save to give you the type of retirement lifestyle that you want. Here are some tips to help you determine how much you need to raise. List the retirement benefits that you can expect to receive. This includes your Social Security, 401(k) and other pensions. This will help you identify if there are any deficit to your expected expenses. Get a full medical check up to spot any ailments that you may face in the future. See to a health care insurance package that you can use or any preventive measures that you can undergo to keep serious health issues at bay. Check the Medicare or Medicaid benefits that you are entitled to. Also, get a fitness program that will help you feel energized despite your aging physical body. Think about where you want to live. If you still owe a lot in your current home, you may want to sell it and opt for a smaller home – since all the children should have moved out by now. Some people get an RV and tour the country. Some opt to live overseas – in a country where the cost of living is not too high. Plan what you will do in your spare time. Retired individuals will have so much time in their hands – you need to think about what you will do when you stop working. What fun activities will you involve yourself into? Will you work on your hobby and earn from it? Any earning that you can project will probably be a good idea – but should not be as stressful as your corporate life. Once you know how much you need to raise, it will be easier to map out your retirement plan. If you have the time and you have the savings to afford an investment, you may want to put a part of your money to help it grow faster. There are online calculators that you can use to help you compute your retirement fund. The AARP site has a great retirement calculator. Bankrate has an asset allocation calculator and the Social Security Administration offers a benefit estimate calculator to help you anticipate the what you will get. Use these to get a better bearing of what your finances will be like when you retire. It is best to settle the important issues before you leave your pre-retirement years.